The detection of diseases is of vital importance to increase the productivity of soybean crops. The presence of the diseases is usually conducted visually, which is time-consuming and imprecise. To overcome these issues, there is a growing demand for technologies that aim at early and automated disease detection. 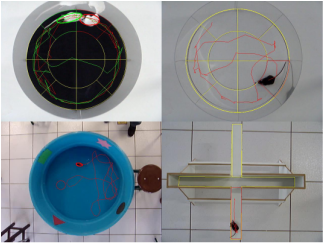 In this project, we study effective and efficient computer vision approaches to computationally detect soybean diseases. Pantanal is one of the most important biomes of the world with a large number of animal species. To conciliate the demand for development while conserving biodiversity, it is important to identify the species in the region and the impact of the development on the population of animals. However, the task of identifying species is time consuming and relies on manual inspection of images. 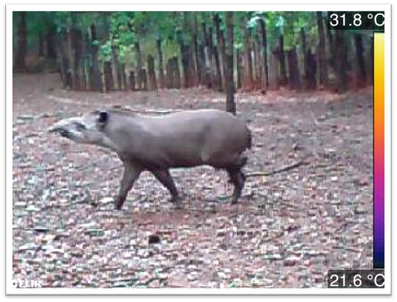 To improve this issue, this project aims to provide an automatic tool for the recognition of Pantanal animal species. A data stream is an unbounded, ordered sequence of objects that must be accessed in order and that can be read only once or a small number of times. A useful form of analyzing data streams involves clustering. 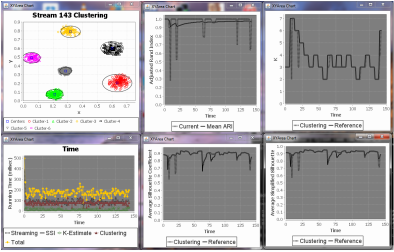 Several algorithms for clustering data streams based on k-Means have been proposed in the literature. However, most of them assume that the number of clusters, k, is known a priori by the user and can be kept fixed throughout the data analysis process. Besides the dificulty in choosing k, data stream clustering imposes several challenges to be dealt with, such as addressing non-stationary, unbounded data that arrives in an online fashion. The goal of this project is to develop methods that allows estimating k automatically from data in an online fashion. Dynamic texture is a recent field of investigation that has received increasing attention due to the great potential for applications in several areas of science and the explosive growth of multimedia databases. Applications of dynamic tex- tures have been presented in the cases of video retrieval systems, music, motion analysis, segmentation, medical images to cite just a few examples. Unlike the traditional texture image, dynamic textures are texture patterns in motion that present stationary properties over space and time. In dynamic textures, the characteristics of texture images are extended to the spatio-temporal domain. Examples of dynamic textures include real world scenes of fire, sea waves, traffic, crowds, evolution of cells and nanomaterial’s, etc. Due to the wide range of applications mainly those concerning in modeling physical phenomena, there is an increasing demand for efficient and effective methods for dynamic texture representation. The goal of this project is to develop methods to describe such patterns. These new methods can solve challenging computer vision problems, such as motion segmentation and motion classification, and can be applied to interesting real-world problems.